Joy Stratton went to be with the Lord on November 2, 2018 at the age of 85 years. She is survived by her loving husband Bill Stratton; daughters: Lynda-Mae Young (Dave), Shaunie Brown (Terry); son Dean Stratton (Corinne); grandchildren: Cara, Bryce, Shannon, Christina, Steven, Nathan and nine great grandchildren. The service for STRATTON, Joy is scheduled for Saturday, November 17th at 10:00 am . Below you will find the map for the service location and the contact information should you have any questions. Our family sends love and prayers and hopes the wonderful memories that all of you share will help you during this time. I am saddened to read of your mother’s passing. She must have been a wonderful woma n because she raised three wonderful children I remember fondly from school days. My sympathy at this difficult time. Bill,may the wonderful memories sustain you during this sad time.My thoughts and prayers are with you and your family. Please accept our most heartfelt condolences for the loss of your mother and adoring wife. She was a beautiful woman who would be proud of the legacy she has left behind , three wonderful children. God bless you all. 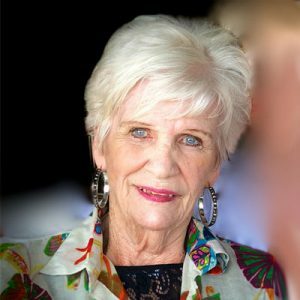 We were so saddened to hear about Joy…she was such an amazing friend to our mother (Rita Beitel Scorgie) when her husband passed away early March 2017, checking in everyday. Then Joy called me and my sister after Mom was suddenly called to heaven herself at the end of April that same year. We just so appreciated all her love and caring and what she meant to our mother. We all so wanted to be with you on Saturday to honour her and her legacy but are unable to be. But know our hearts will be with you and we will be praying for you and your family. Uncle Bill and family, may you have comfort and peace today knowing that Joyce is reunited with loved ones.